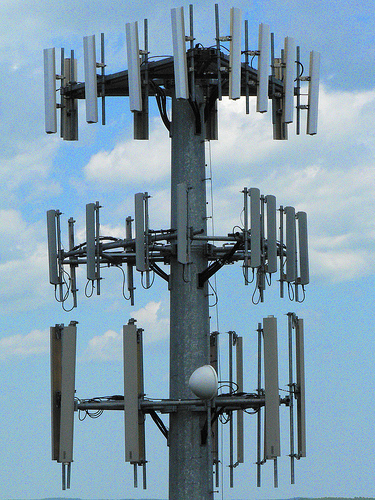 Cell towers are part of the wire line network. A cell tower is like the telephone pole that connects your house into the network. Your cell phone signal connects to cell tower like the wire from your house connects to the pole, except there is no wire of course. But that’s the part of the connection that’s wireless. 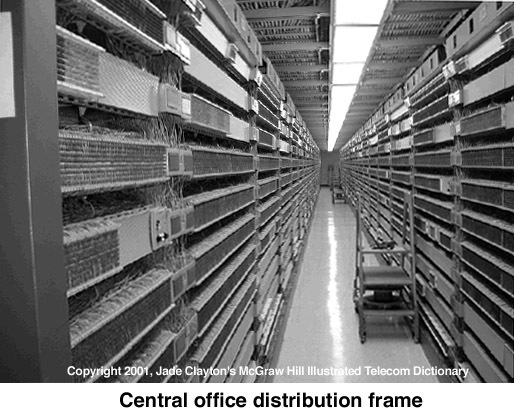 The cell tower then transports your call or information through high capacity copper wire and fiber optic circuits to a Verizon central office, and then the call or information continues the long journey through the wired network until it reaches the central office that is closest to its final destination – whether that is the next town over or Australia. From there it can be sent to another tower or directed to a landline. There would be no wireless phones without the wire line network. There are not two separate revenue streams: one wired and one wireless. There is only one, and it travels through the central office. The backbone of the one network and one revenue stream is installed and maintained by union workers from the IBEW and CWA. The revenue share that we create is not shrinking because of wireless. It is in fact expanding. So when the big shots at Verizon claim that wire line workers are working in a part of the business that’s becoming obsolete, they are either lying, or they don’t actually know how their own network works.